Once you have yourself a cool weed grinder it is hard to go back to scissors. If you smoke a lot of cannabis cool weed grinders can speed up the time it takes to grind weed. Which, let’s admit, is one of the worst parts about rolling. I try to delegate crushing weed to one of my friends normally, in exchange for rolling the j’s, but love my trusty grinder. Another great thing about a cool weed grinder is the pollen catcher. While most grinders have a sieve and pollen catcher sections others do not. A pollen catcher can be awesome as it gives you a small stash of kief after grinding a few buds, but it also ‘steals’ pollen that you would have rolled into your joint that time. So for buds with great flavor profiles I usually take the pollen section out and roll it all in. If you have a friend thats just brought over some expensive pot, don’t expect them to use the pollen catcher in your grinder. A cool weed grinder can also make a great stoner gift for her or stoner gift for him. So which is the best, cool weed grinders and how much do they go for? 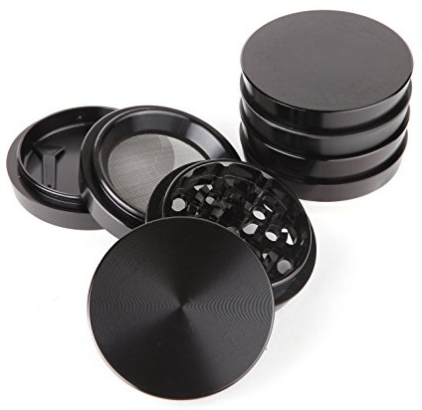 Grinders can range in price from extremely cheap plastic grinders for a few dollars that do the job wonderfully, to anodized steel and aluminum grinders up to $20 that will last you a lifetime. I prefer a cheap plastic grinder for expensive bud, and a solid 5 piece grinder for my regs and mids. This allows me to get the full flavor out of top quality bud while getting all the kief I can from my mids and regs. While you could easily just have one grinder in your collection though and take out the pollen catcher on the occasions you do not need it. These cheap cool weed grinders will not break the bank and work just as good as the premium ones. You may get jelly over your friends $50 space grinder but just think how much more bud you can buy with that! Plastic Weed Grinder – Cool, Simple and Efficient. The old faithful. A plastic cool weed grinder is all you really need. With small shark like teeth that grind up any types of buds, the clear plastic weed grinder is simple and cheap but highly effective. Plastic grinders tend to get a little sticky after heavy use and can grab a lot of crystals and trichomes if you use it heavily like I do. A quick fix is to pop it in the freezer and then slam the grinder down on a surface to loosen all those trichomes. 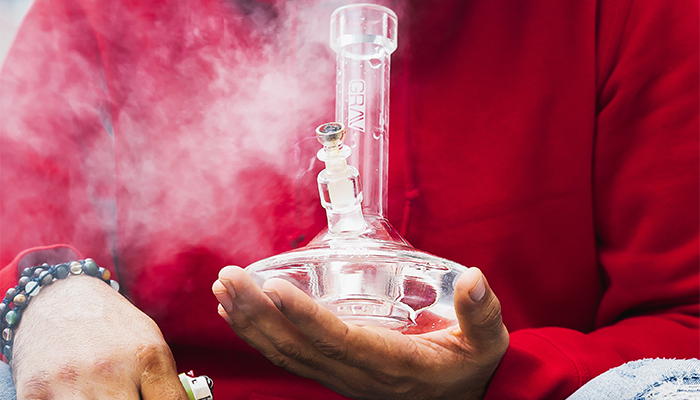 Then simply wipe the grinder clean with some iso alcohol or any other solvent. Wooden Herb Grinder – To Fit In With Your Raw Collection. The wooden cool herb grinder is exactly what it says on the tin. A great little piece that will suit any natural smokers collection. It is quite small at just over 2 inches but it utilized pegs instead of teeth to save space and have less surface area to get caked in pollen. These little wooden grinders are cool but I always tend to become a mission to clean because of the size. If you do not smoke very often or want a handy little grinder on the go then you may want to grab one of these. Grinder Card – Credit Card Sized Grinder. 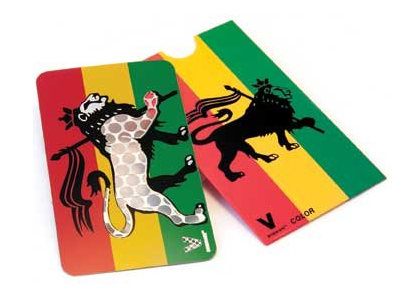 The Grinder card by V. Syndicate are little, cool weed grinders that will fit in your wallet and go unnoticed surrounded by your other cards. 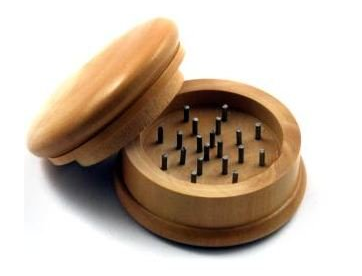 Simply stroke your bud over the sharp holes to get a decent grind that is great for joints or pipes. The grind may be a little rough for vaping and if you vaping your herb you may need a finishing grinder to do the final job. Cleaning the card is as easy as ever, just swipe some alcohol across the surface and you good to go. These quirky and cool weed grinders will make your smoking game stand out from the rest. 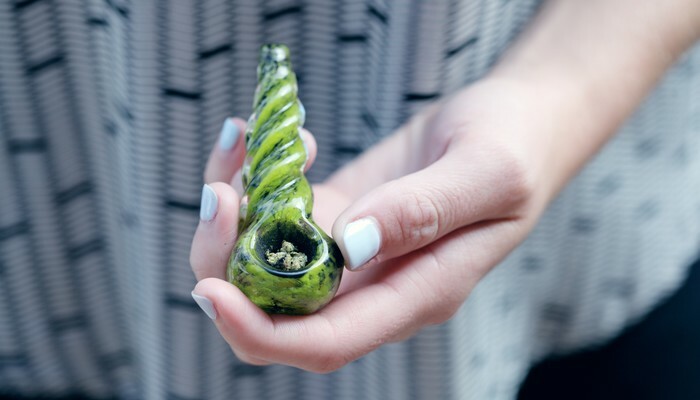 These quirky and cool weed grinders will start a conversation wherever you are. Every stoner loves something unique and fun. 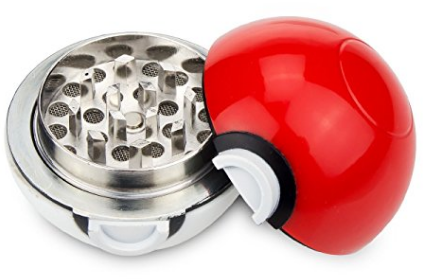 Pokeball Weed Grinder – Gotta any Weedle? The Pokeball weed grinders may seem gimmicky but they are quality cool weed grinders. This 3 piece grinder is made from aluminum and features quality grinder teeth and a kief catcher. The Pokeball grinder comes in a variety of colors so you can match your favorite Pokemaster. If you collect a lot of pop merch these cool weed grinders can sit beside them without anyone ever thinking you use it to grind weed. Watch Grinder – Stealth in Plain Site. 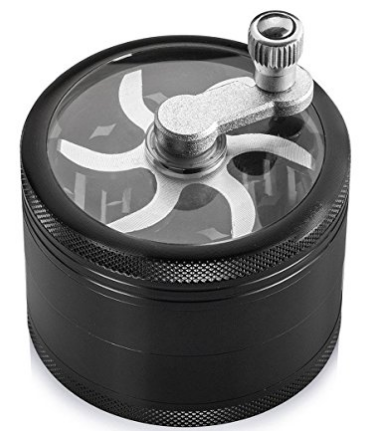 A watch grinder is the ultimate stealthy grinder for those that crush a lot of weed on the go. 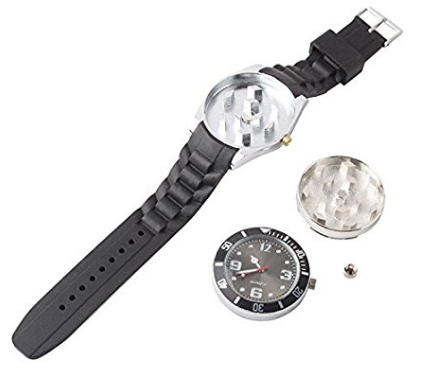 Nobody will suspect your watch conceals a weed grinder. 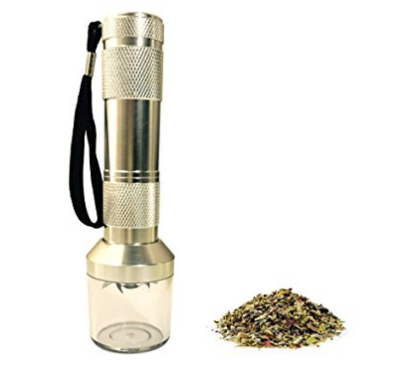 With only a few teeth and a small grinding area this cannot be your go too grinder for all day sessions but for the odd occasion you may need to grind, such as on a hike or at the beach, the watch weed grinder is perfect! Death Star Grinder – Cool weed grinders for the Fans. 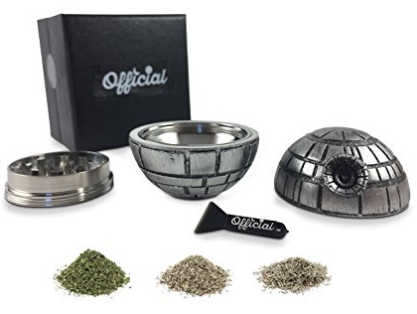 The Death Star grinder is the perfect gift for star wars fans that smoke and is a cool weed grinder that will fit into any stoner collection. High-quality aluminum create a perfect grind that will last a long time. When you hold this grinder it feels solid and chunky. A magnetic lip keeps the star together until you ready to use it and keeps the bud inside. With a lifetime warranty from Official, this cool weed grinder is bound to last you decades. When you want a grinder that does more than just the standard “grind and collect pollen”, these specialty weed grinders come with easier ways to grind, storage compartments and even automatic electronic grinds. Zip Grinder – When you have a lot of Bud. 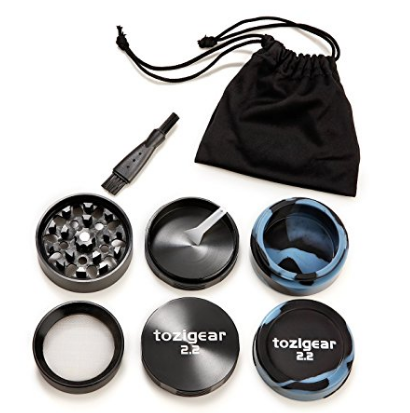 The zip grinder features 4 pieces and is one of the top rated weed grinders on the web! The clear compartment is what sets it aside from the rest, as does the perfect pollen catcher and 49 diamond shaped blades. The collection chamber allows for a fuss-free grind. The ease of grind on this grinder stands it apart from the rest. 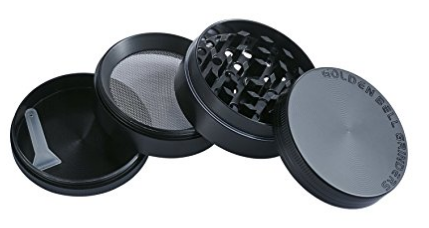 Remove the middle compartment and you have yourself a perfect travel grinder! Electronic Weed Grinder – For the Ultra Lazy Stoner. The zinc alloy electronic grinder is awesome for those that struggle with mobility or are feeling lazy. The metallic teeth spin pretty damn fast and are powered by 3 AAA batteries. Fill the container about a third of the way full and tip upside down while grinding. Make sure you remove any seeds and stalks before you jam your bud in this thing. A very cool weed grinder ff your wrists are getting tired from all that daily weed grinding. Mill Grinder – For that Defined Grind. With 4 compartments and a rotary crank system, the mill grinder has it all. The sharp, diamond shaped teeth keep the grind consistent and leave you with a fine smokable. Perfect as a table grinder or a gift for those that don’t already have one. Make sure to remove stalks as the rotary handle can be a little tough if you have not already broken up your buds into pieces. A cool weed grinder for anyone serious about their sessions. I am not sure it makes it that much easier to grind though as once sticky the crank starts to stick. These are all affordable and of the highest quality. You want a cool weed grinder that is going to last but not break the bank then look no further than these quality and cool weed grinders. Golden Bell Weed Grinder – Perfectly crafted. One of the world’s best-selling grinders is Golden Bell. The heavy duty zinc alloy and etched top make this a truly remarkable grinder at an extremely affordable price. 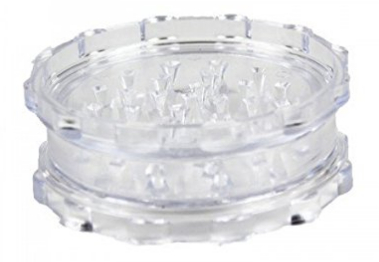 These cool weed grinders have diamond shaped teeth to ensure efficient and smooth grinding. The Golden Bell comes in a wide range of colors and holds a lifetime guarantee! Pagoda Tower – New Cool Weed Grinder Tech. The pagoda tower design is the latest in grinder tech. Each component is carefully CNC machined for perfection. The Pagoda Tower grinder is made from aircraft grade aluminum with the sharpest teeth on the market. The new teeth design offers a smoother and finer grind than traditional diamond shaped grinders. With no Zinc or cheap parts, this cool weed grinder is bound to last a long time. Totigear 2.2 – With Extras. 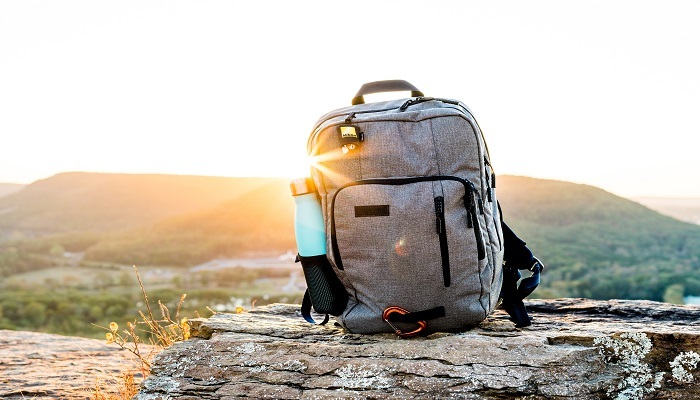 The Totigear 2.2 comes with all you need to and more. A pouch and silicone attachable compartment make for a great touch. Made from high-grade aluminum and R Shape Teeth design, the Totigear 2.2 is amazingly perfect. The screen is attached extremely well and does not look like it will come loose after many years of abuse. You want to splash out on yourself or someone special with a premium weed grinder. These are the best of the best premium quality grinders. If you want to show your wealth off or have a grinder that you can cherish for your entire life then these are for you. 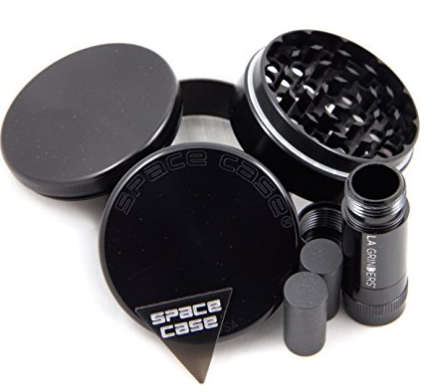 Space Case – Premium Titanium Grinder with pollen press. Probably the best grinder on the market. The huge 3.5″ diameter titanium four piece grinder will chop up enough bud for a blunt with ease. CNC precision diamond shaped teeth grinds though bud easily and the neodymium magnet never loses strength. The perfectly sealed ‘O’ ring allows for the tightest fit you have ever felt in a grinder and provides a smooth grinding experience that is unrivaled by other cool weed grinders. 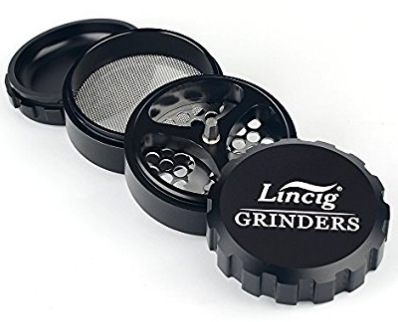 Lincig Grinder – The sharpest grinder on the market. The Lincig is a premium grinder like no other. It features a patented design that is the sharpest grind we have ever experienced. The smooth grind is phenomenal and you will think you grinding air, the design never gets stuck like other teeth design grinders and stays sharp for longer too. This is a great gift for that stoner that has it all. Phoenician Elite Grinder – The Epitome of Grinders. 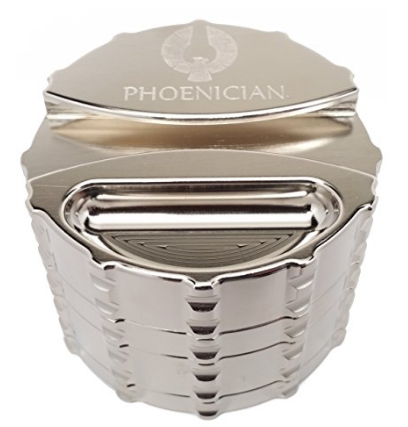 The Phoenician is the ultimate in luxury grinders. 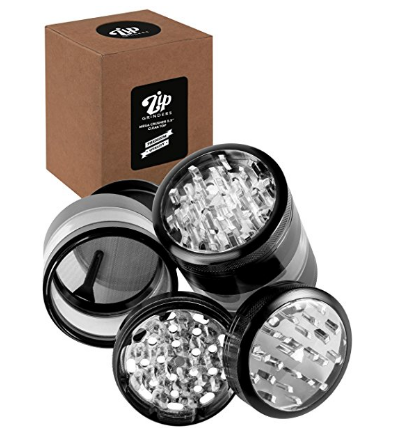 It is made with Chrome Plated Over 6061 Aerospace Aluminum, making it the highest quality made grinder in the world! It is made by the medical instrument maker Phoenician Engineering, and the end process involves a multi-step sterilization process! Featuring a unique threadless locking mechanism and rolling paper holder in the top makes this a fantasticly cool weed grinder.